Amir Tripp has been becoming a frequently featured artist on our pages lately, and for good reason too, he continues to impress with every & every release. There is a total of tweelve records on this tape, and after the first listen through tou can tell that Amir was aiming to prove a point with this, something like an introduction to the industry. There is a perfect balance of introspective & thoughtful tunes as well as your up-tempo bangers & laid back songs, something for everyone. There is only two impressive features on this project and that is from Chicago’s own Saba on “Dark Knight” & King Louie on “WAV”, which are arguably my favorite cuts off this tape. 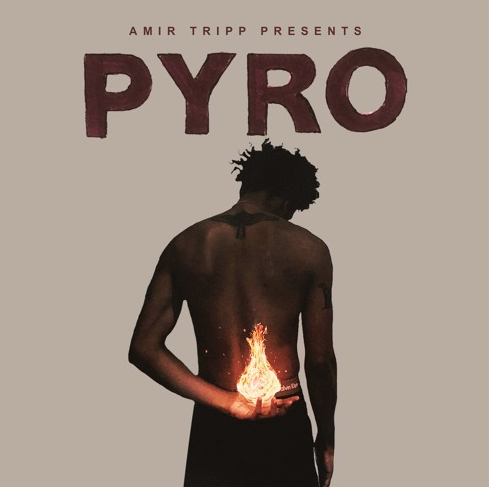 Amir exceeded my already high expectations with this excellent project, I’m exited to see where he takes it from here, but for now stream “PYRO” below!